People wanting to buy digital cameras are faced with so many options that it can be intimidating. There's also new terminology involved that you don't encounter with traditional 35mm film cameras. Understanding this jargon will give you confidence when it's time to buy. Digital cameras, you'll soon find, are similar to computers - so they require "memory" to store the images. Just as you get 12, 24, or 36 exposure films, you get memory devices that can store varying numbers of images. Instead of filling up your roll of film with photos, you now "fill up" your camera's memory with digital pictures. The size of the memory device, normally a small, removable card that slots into the camera, is measured in megabytes and gigabytes (1,000MB = 1GB). So you have cards varying in capacity, eg 512MB, 1GB, 4GB, 8GB etc. The more megabytes or "gigs", the more images you can store on the card (and the more costly the card). The other term customers get bombarded with when opting to buy digital cameras is "megapixels". Generally speaking, the more megapixels, the more expensive the camera. One megapixel comprises approximately one million pixels. So what's a pixel? A pixel, short for "picture element", can be thought of as a tiny dot containing information about the picture. When you snap a picture, these tiny bits of information are gathered by the camera's sensor. But unlike film cameras, where each snapshot is recorded on one frame of the film, the digital data is passed from the sensor to the memory card for storage. In modern film cameras, after each shot the film "advances" or moves one frame, so there's a new piece of film ready to record the next picture. In digital cameras, the sensor stays put, passing the information instead to the memory card. That's the mechanics. But the bottom line remains: the more pixels available to record information when you press the shutter, the more detail or "resolution" is contained in the picture. A picture that is 2400 pixels long by 1800 pixels wide contains 4.32 million pixels (2400 x 1800) so the camera will be called a "4.3 megapixel" camera. If the camera can produce an image 4800 x 3600 pixels in size (4800 x 3600 = 17.28 million), it's called a 17 megapixel camera, and so on. When you print a digital image at 10" x 12" for example, a 17-megapixel camera will provide more pixels or information for that area than will a 4-megapixel camera, meaning the print will have more definition or clarity. The above should give you a basic grasp of memory and megapixels, so you'll better understand sales literature and camera reviews. In fact, more and more customers, when deciding to buy digital cameras, are now turning to independent reviews for help. That way they can read what experts and normal users have to say about the various models. Cnet.com - excellent site with plenty of info and help on how to buy digital cameras, including solid reviews that are not too technical. Each review includes a CNet rating, user opinions, where to buy digital cameras online, competing products and, for some models, a hands-on video demonstration. You can also browse Editor's Top Products, Most Popular, and a quick Product Finder in the left menu that lets you search by manufacturer, by resolution, and by price (starts at $100). Epinions.com - offers a Buyer's Guide and a Digital Cameras Wizard to help first-time digital camera buyers. The wizard asks you what image quality you need (how many megapixels), how much you want to spend, size of camera, and size of optical zoom. Consumerwatch.com - if you're in a hurry, check out their "Fast Answers - Best Digital Cameras" where they list top rated cameras, together with a brief overview of "what the research says". Also has a longer article summarising what magazines and the press are saying about specific cameras. Let's Go Digital.org - the home page opens with rows of pictures of digital cameras, so if appearance is important, this site is a good place to start. It has a clean, clutter-free design, with a menu down the left. You can can choose cameras by brand or resolution. When I tried choosing by brand, Canon came up with 10 cameras, and Sony with seven, so not every model is listed. When you click on a camera model, you're taken to a very thorough review of that model. DP Review.com - this is Phil Askey's very popular, highly respected digital camera site. It's a vast repository of information, comprising reviews, latest news, plus very active forums, many dedicated to specific cameras. The reviews are not for the faint-hearted. They're extremely detailed, including advanced technical data. One of my favorite sites and definitely recommended for anyone who's serious about buying digital cameras. Digital Imaging Resource - a huge site, with masses of information. Visitors can browse reviews "By Megapixel" or "By Manufacturer". Under manufacturer, the site lists current and discontinued models. This is very useful to know, as new models are being introduced so often that it's easy to choose a camera, not realizing it's been discontinued. The reviews are extremely thorough, with lots of pictures and animations, so you'll need some stamina to read right through. But each one starts with an Overview and Highlights, so you can get a quick impression. There are also print-optimised versions of reviews, if you prefer reading hard copy. Steve's Digicams.com - Like DP Review, this one's been around for ages and built a solid reputation for it's detailed reviews. In addition to reviews, there are forums, latest news, and a useful Digicam Dictionary. 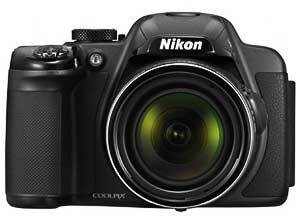 You can choose reviews by Megapixel, Digital SLR, and Weatherproof. Select your camera model and you're offered a tech-laden, comprehensive review. Luminous Landscape - here you'll find a different type of review, where working photographers describe using specific cameras on assignment. These are often subjective evaluations, with less emphasis on technical data. In fact, the report on the Canon Digital Rebel XT that I read warned that "the technical tests and comparisons are also a black hole into which it's all too easy to become captured, and ultimately devoured." A valid point. Outback Photo - also goes for field reports and "diaries", for example: "Using both Canon EOS 5D and Nikon D2x in the field" by Uwe Steinmueller. The site also covers top-end pro cameras, including medium format digital, not found in consumer type reviews. Bob Atkins - this is the site of pro photographer Bob Atkins. He's a Canon user, so the emphasis is on Canon SLR cameras, also from a hands-on perspective. He does also offer useful comparisons that will help pro photographers looking to buy digital cameras, for example Canon EOS 5D vs. EOS 20D or EOS 20D vs. Rebel XT. Definitely a "must" for Canon fans, but useful also for anyone who is serious about their photography. NB - Now you've read the article, please visit our Wildlife Pictures Online Camera & Photo Store to check for digital cameras and photo gear at excellent prices! Return to Photo Info page for more photography articles.